The Premier League has gone (RED) this weekend to help raise funds for the “Lace Up. Save Lives” AIDS charity campaign. A specially-designed Nike ball is being used in all matches from Saturday to Monday. Meanwhile, players Cesc Fabregas, Didier Drogba, Wayne Rooney, Theo Walcott, Fernando Torres and other stars will also wear Nike (RED) laces in their shoes during the matches to show their support for the campaign. 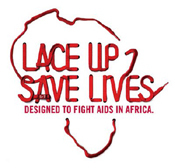 The Nike (RED) laces are also available for purchase, with 100% of the profits split equally between two good causes; Half of the money will go to the Global Fund to Fight AIDS, Tuberculosis and Malaria which funds AIDS programs that provide medicine, treatment and services for those living with HIV. The remainder will fund football-based community initiatives which deliver education and understanding around HIV/AIDS prevention. Premier League CEO Richard Scudamore: “A red ball and red laces are simple ideas, but sometimes those are the best – the hope is that the profile given through this and the money raised through ‘Lace Up, Save Lives’ will provide significant impetus and funding to the Global Fund’s activities to aid the prevention of HIV/AIDS in Africa. “Football has a particular resonance in Africa, especially the Barclays Premier League, and our support for this campaign is part of our wider commitment to coaching, education and other good cause investment right across the continent” (Premier League). Is anybody up for a nice brisk run around the United Kingdom? The entire U.K.? Officials at U.K.-based charity Sport Relief initially thought such an idea was crazy, but comedian Eddie Izzard wasn’t joking. I can almost hear the more serious tone of Izzard affirming his plan, “I said 1100 miles. I will try to run 30 miles a day for 6 days a week. It will probably take 7 weeks.” After that meeting in late July, Izzard embarked on the Sport Relief: Rise to the Challenge charity run. Go stride-for-stride with Izzard on his blog. While run itself is arguably crazy, the cause is great. When Izzard reached his London destination, the effort had raised over 200,00 pounds. The money will fund projects across the U.K., Africa and throughout some of the world’s poorest countries. Sport Relief tackles a wide variety of problems that poor, disadvantaged and vulnerable people face. Thanks for the run Eddie. Now enjoy your rest! Olympic athletes Beth Tweddle and Diane Modahl recently took time to meet with children to encourage them to get involved in different sports. The event was part the sixth annual North West Street Games Festival in the U.K. The festival, organized by Sport4Life, aims to bring sports to children from disadvantaged backgrounds. The accompanying three minute video explains the effort (Manchester News, 9/17). This video, which originally aired as part of the Goalisimo program, chronicles a charity soccer tournament in Cavre Nepal’s poor rural district. Unfortunately, as CozmicTV suggests, “It just goes to prove that Football violence is a world wide problem, although you don’t normally get you local football hooligan throwing rocks and hitting each other with bamboo” (CozmicTV). The Great Football Giveaway visited Zambia last October and November to deliver 2250 footballs (well, soccer balls to some) to schools and community centers across the country. The U.K.based organization explains its mission this way, “No kid should be denied the chance to kick a ball about. It’s one of life’s most simple pleasures. So that’s what we’re here for. To get sports equipment direct into the hands or feet of some of the world’s most disadvantaged kids. … Every tenner (ie, 10 British pounds) you give is converted into a brand new football, pump & spare valves and hand delivered direct to kids in schools, orphanages or even just by the side of the road” (The Great Football Giveaway). From Us With Love is working with the Western Cape Street Soccer League in South Africa to regain trust and change a street person’s life through sport. The league uses soccer as a means of involving children and youth that live, work and sleep on the streets in positive activities that will assist them in moving off the streets to better lives (From Us With Love). The All Stars for Hope charity match will be held June 14 in New York. The event will benefit Schools for Hope, which was started by Arsenal F Mikael Silvestre. Laureus World Sports Academy members Edwin Moses and Tanni Grey-Thompson joined a group of influential sports personalities including FIFA President Sepp Blatter, Real Madrid President Ramón Calderón and International Olympic Coordinating Committee member Alex Gilardy to discuss the power of sport at a summit at the Peres Centre for Peace in Tel Aviv (Laureus). A record number 32,000 people participated in the Great Ethiopian Run, Africas’ biggest 10k road race, on December 4. UNICEF and the Great Ethiopian Run have been partners for the past three years, committed to fighting HIV/AIDS in Ethiopia. The race continued its tradition of fundraising for orphans and vulnerable children through the Dream Campaign by raising money for four charity homes for children affected by HIV/AIDS in Ethiopia. The guests attending this years race include Sweden’s 2004 Olympic Heptathlon champion Carolina Kluft and Britain’s 5000m specialist Mo Farah, alongside a number of renowned Kenyan athletes (UNICEF). The United Nations Development Program held its sixth annual Match Against Poverty charity soccer match in Morocco on Monday. The primary objective of the event was to increase public awareness in the fight against poverty and to promote the Millennium Development Goals (MDGs), which seek to halve world poverty by 2015. This year’s match was the first in a series of eight games, each promoting one of the eight goals. Between 2008 and 2015, the target date for accomplishing the MDGs, the proceeds from each game will go to projects which address the goal highlighted. In Morocco, the theme was centered on the first Goal: To Eradicate Extreme Poverty and Hunger. The funds will be allocated to UNDP anti poverty projects around the world, including a national project in Morocco. The Match: For this year’s match, Real Madrid’s Ronaldo and Zinédine Zidane, both UNDP Goodwill Ambassadors, again assumed the role of captain for their respective teams, which were composed of 45 notable international soccer players – including Brazilian striker Marta, the best female football player in the world and the first woman to play in the Match Against Poverty (UNDP). Serena Williams will be in Kenya tomorrow to help open The Serena Williams Secondary School in Matooni. 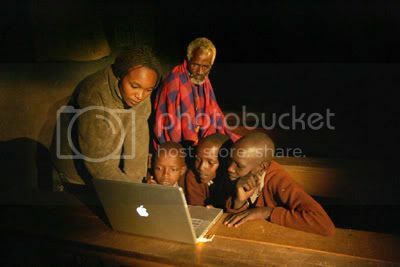 Williams helped build the school through a partnership between the Build African Schools initiative and Hewlett Packard. Dickson Mutaiti, the Director of Projects for Build African Schools, added, “We are indeed honored to have Ms Williams visit Kenya at this momentous time in American history when we have a new President elect who has roots in Kenya. During her visit, Ms Williams will officially open a secondary school put up in her name, to give chance to needy primary school students who want to pursue secondary school education” (Claire Wanja, KBC,, 11/10). Tel Aviv-based Peres Center for Peace’s Sport Department kicked-off the 2008-09 cycle of the “Twinned Peace Sport Schools” program, which is implemented in over 30 disadvantaged Palestinian and Israeli communities. The project’s objective is to encourage reconciliation between young Palestinian and Israeli boys and girls from disadvantaged and peripheral communities, by providing an extra-curricular program comprised of sport training, Peace Education instruction, auxiliary educational support and joint Palestinian-Israeli sporting and social activities. Sport is a powerful tool for bringing people from different backgrounds together, providing a common platform for contact and interaction. In particular, soccer and basketball – two very popular sports among both Palestinians and Israelis – have the power to unite youth from different sides of the divide, as Palestinians and Israelis play soccer and basketball according to the same rules, and even idolize the same sport stars. This extracurricular after-school program, which targets boys aged 6-13 and girls 9-13, imparts the values of peace and mutual understanding, encourages acceptance of cultural differences, and breaks down negative stereotypes. The program, which was launched in 2002 with 70 participants on each side, currently reaches some 1,600 Palestinian and Israeli youth from disadvantaged and peripheral communities and touches the lives of thousands more secondary and indirect beneficiaries (The Peres Center for Peace).